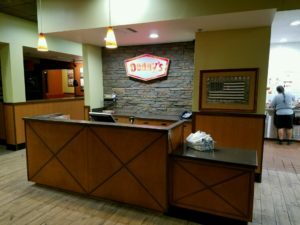 G2G Management Group is pleased to announce our Denny’s in Baker, CA has a fresh new look! 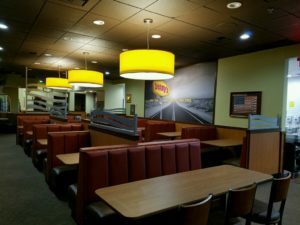 Located at 72415 Baker Blvd in between Barstow and Las Vegas, our Denny’s diner has undergone an exciting new look to make our guests feel as comfortable as possible as they take a break from the long drive on the I15. When we remodel our restaurants, we spare no expense. 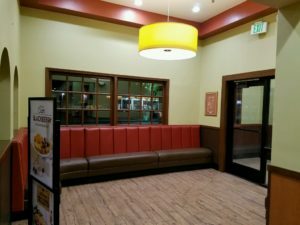 We enjoyed giving this Denny’s a makeover from top to bottom. 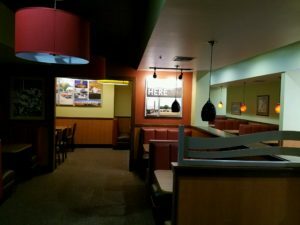 New light fixtures, wall art, booths, and floors are a small part to the whole new look. 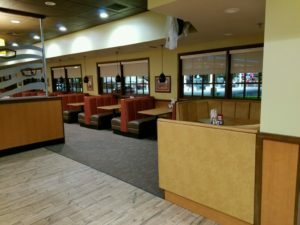 Another fun part of remodeling a restaurant is to see the staff rejuvenated to bring our guests that good to great experience.